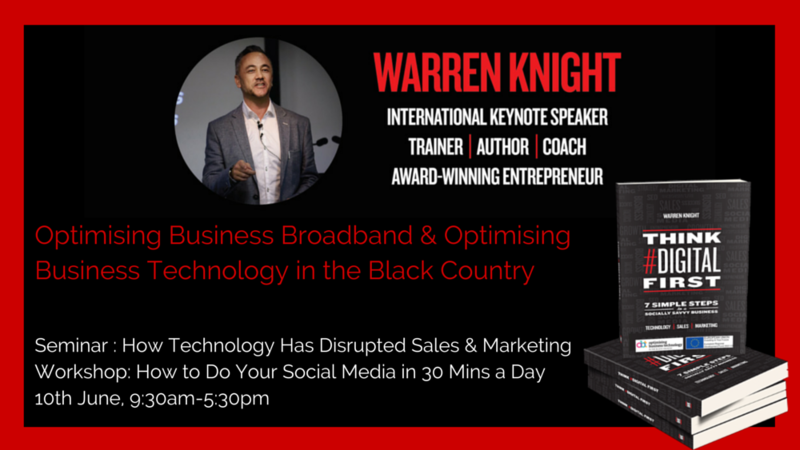 In this thought provoking seminar, Warren will be sharing with you how every business, entrepreneur, sales and marketing manager can use technology to help their business grow. Warren will share how building brand awareness, marketing to your niche target audience, decreasing the length of time in the sales cycle and building customer retention by using the latest technology is crucial for moving your business forward. You will be shown the latest tools to SAVE time, the best platforms to drive traffic, how to design a 7 day social media plan and increase online sales by 500%. Is it really possible to establish and maintain a social media presence in the same amount of time it takes to mow the lawn or catch up on an episode of Game of Thrones or House of Cards? Why, yes. Yes it is. Facebook, Twitter, Pinterest, Instagram and LinkedIn are the important social media platforms for any SME — and while it’s easy to get sucked into any of them for hours at a stretch, you can manage them in much less time with some planning and the right social media management tools.